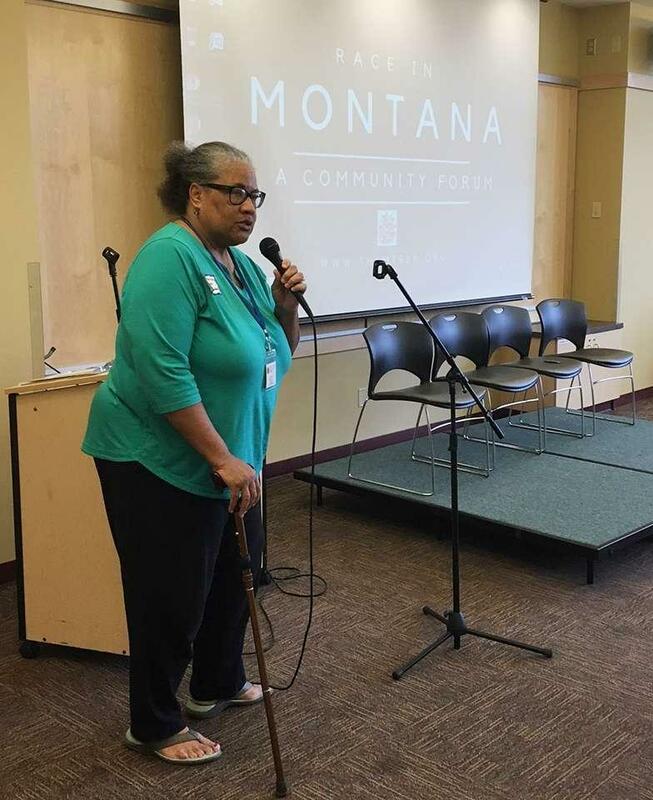 Judith Heilman, executive director of the Montana Racial Equity Project says, "the Montana Racial Equity Project is all about education and informing people. And then motivating them to activate. To interrupt." As it approaches its one-year anniversary, a Bozeman-based nonprofit is challenging people to talk about an elephant in the room: racism in Montana. Over 200 people came to the Bozeman Public Library last week for the Montana Racial Equity Project’s first ever Race in Montana Community Forum. "And I’ve had so many people say to me over the years, ‘There’s not racism in Montana — there’s no minorities in Montana, how can we be racist when there’s no black people or no Indians’ — and I’m thinking, excuse me …." That’s Judith Heilman, executive director of the Montana Racial Equity Project. "I’ve been black all my life, I like to tell people." Heilman says that she has seen a need for a conversation like this since moving to Bozeman 11 years ago. "The Montana Racial Equity Project is all about education and informing people. And then motivating them to activate. To interrupt." 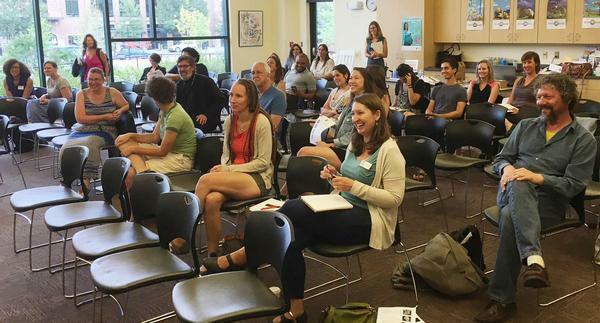 For over eight hours, people came to the Bozeman Public Library to hear panelists talk about a wide array of racial justice issues, including voting access, dog whistle politics, colonialism, white privilege, and inherent racial bias in policing. Many of the panelists talked about something that impacted their lives personally. Here’s Megan Singer, a MSU graduate and member of the Navajo tribe. "So the most important thing to note is that because there is this history of contact and colonialism, which is kind of the spirit of imperialism forced on tribes, we have survived cultural genocide. We have survived genocide in itself. And a lot of our efforts are in response to colonization." April Francis, a student at Montana State University and a field organizer with Forward Montana, talked about students of color being isolated from political participation. "College students are a part of this community, but we’re pretty actively being kept from feeling like it. And there’s a lot of minority students on campus. It might not look like it when you’re walking down the mall and it’s like fifty shades of beige, but there are a lot of minorities on campus. And so it’s hard to be a young voter finding your place in the community when you look around and none of the elected officials look like you, none of them know what your life experiences are like, and none of them are keeping that in their heads when they’re going and making the policies that are going to affect you." But the momentum of the panelists wasn’t always enough to bring everyone along. Conversations in between the presentations often showed a deep disconnect between attendees and speakers. "I notice you have a Native American here, and I worked with the Native Americans in Arizona, and I have to tell you, they are also prejudiced against the whites." "I mean we’re always going to be offending one another … I may be offending you right now"
Above all, the Montana Racial Equity Project’s Judith Heilman says that the non-profit focuses on education so that people can call out racism when they see it. "Whenever you hear in a conversation or you see something written that you know is off, that you know somebody has let slip something bigoted or prejudiced, whether they intended for it to come out or not, they need to be -- it needs to be addressed right then. And the challenge is to do it in a way where you’re not embarrassing or embittering anyone." One panel, titled "Why can’t I say all lives matter?" was facilitated by only white panelists. Heilman says that was very intentional. "It was very important to have, in my mind, an all white panel. Because so many people who are white Americans keep feeling like they need to ask black Americans to teach them about what racism is, and bigotry and prejudice. Well, we’ve been doing that for centuries." Even at the end of the day, panelists and audience members were grappling with disagreements and tense subjects. During the last panel about racism and criminal justice, Bozeman Police Chief Steve Crawford said that he is often wary of the “incendiary rhetoric” of the Black Lives Matter movement, fearing it will lead to violence. "Chief, with all due respect, I gotta say: black lives matter. And it’s not that only black lives matter, it’s that black lives matter as well as other lives. 'Cause the fact of the matter is, is that for centuries, black lives, brown lives, Native lives, have not mattered as much as white lives. That’s not incendiary." The Montana Racial Equity Project will be hosting their monthly book club on September 21 at the Bozeman Public Library. The book up for discussion will be "Between The World And Me", by Ta-Nehisi Coates. Copyright 2016 KUFM-FM. To see more, visit KUFM-FM.